Ashley has been with the office since 2009 where she continues to make every effort to ensure the most effective therapy possible for our patients. 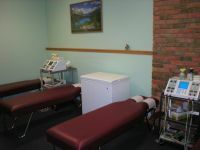 As a Chiropractic Assistant she takes care of all interferential current, cryotherapy, and ultrasound therapies. She also does vital signs for new patients and is efficient in all office duties.